Bollywood’s first-ever girl-meets-girl romance, Ek Ladki Ko Dekha Toh Aisa Laga, has, needless to say, broken new ground. Just as noteworthy are the film’s tone and texture. Its main "drawback" — a firm adherence to Hindi mainstream cinema norms — is also its principal strength. While it goes where no Mumbai movie has gone before, the film stays true to the need to deliver entertainment. Fire, Margarita With A Straw and Angry Indian Goddesses, three indie projects that explored the theme of lesbian love in Hindi cinema before, were of a different timbre. Otherwise, gay characters in Hindi films, assumed or real, have hitherto been male-oriented. This is true not just of Kal Ho Na Ho, Dostana, Student Of The Year and Kapoor & Sons (all from the Karan Johar stable) but also of sensitive off-mainstream essays like My Brother… Nikhil and Aligarh. Coming from a movie industry trapped in misconceptions about homosexuality, Ek Ladki Ko Dekha… had the option of over-compensating and landing sledgehammer blows on behalf of LGBTQ rights. It chooses gentle persuasion instead. Its tone isn’t recriminatory: it doesn’t take surly swipes at society. Its plea for inclusion and acceptance is calm yet decisive. The restrained portrayal of a love that daren't speak its name helps the Shelly Chopra Dhar-directed film make a difficult theme far more palatable for the general audience than it otherwise might have been. The two-hour film chips away at the viewers' prejudices — pretty much like the screenplay does at the misgivings of the onscreen heroine's family — until some kind of common ground is attained. The film’s screenwriter is a transwoman. Does that have something to do with the way the film has turned out — self-assured but not brash, deeply empathetic but not all-knowing? It sure does. Gazal Dhaliwal’s unflashy script embraces differences of all kinds, and not merely those that pertain to sexual orientation. It gives religious identities and class divides the go-by. In the smalltown household where the story is set, nobody is 'othered'. The servants are integral to the family and not lowly factotums of the kind who run menial errands. The first time the female protagonist Sweety Chaudhary (Sonam Kapoor) meets the girl who goes on to become her partner — this occurs at the very outset during a Delhi wedding — the latter plays matchmaker for her brother, Raza. The name raises no eyebrows. Ditto when the heroine runs into playwright Saahil Mirza (Rajkummar Rao), who develops an instant crush on her and begins to see her as his Muse. The film’s heroine is no feisty rebel. Her coming out isn't an act of defiance. It is more an entreaty. 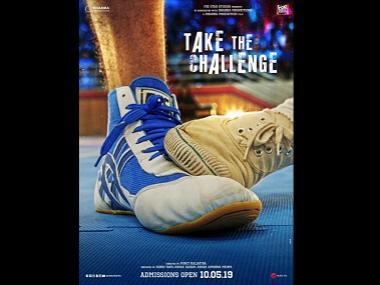 The film is also about three other characters chasing their dreams: Saahil, a movie producer's son who wants to find his own voice; Sweety’s father Balbir Chaudhary (Anil Kapoor), a garments factory owner who once aspired to be a chef; and garrulous food caterer Chatro (Juhi Chawla), whose ambition is to be an actress. The multiple strands hinge on impeded individuals craving acceptance for who they are or want to be. Its all-embracing sweep defines Ek Ladki Ko Dekha Toh Aisa Laga and turns it into something more than just a lesbian love story.